An official event of the New York International Latino Film Festival (NYILFF). In honor of the 10th anniversary of the New York International Latino Film Festival (NYILFF), the Hispanic Organization of Latin Actors (HOLA) in conjunction with Screen Actors Guild will present an all-star panel event where the individual experiences and perspectives of the panelists—performers at the top of their field—will trace the changing levels of inclusion and focus on the expanding range of portrayals of Latinos in entertainment, with an emphasis on the accelerated evolution over the past 10 years. Finally, it will discuss what lies ahead for the dynamic and diverse Latino community. Panelists include Emilio Delgado (PBS' "Sesame Street"), Adrián Martínez (The Ministers; The Taking of Pelham 123), Tony Plana (ABC's "Ugly Betty"), Rogelio Douglas (Broadway's The Little Mermaid). Dr. Rodríguez is the recipient of the American Sociological Association's 2001 Award for Distinguished Contributions to Research in the Field of Latina/o Studies; a Consultant to "Dora the Explorer" and "Sesame Street"; and was named one of Hispanic Business magazine’s 100 most influential Hispanics in the nation. There are a limited number of reserved seats available. If you would like to attend, please contact Marlena Fitzpatrick-García at (212) 827-1505. For more information about the NYILFF, please visit www.nylatinofilm.com. Jean-Marc Berne, right, e-mailed us to let us in on his latest developments. As a composer, he wrote the music for and musically directed a workshop of Noemí de la Puente's musical Manuel vs. The Statue of Liberty. 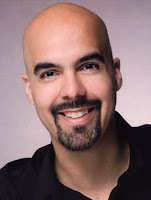 As a voiceover artist, he dubbed the voice of Javier Ruzo in the documentary The Mysterious Stone Monuments of Markawasi, Peru," voiced a movie trailer for The North Films, narrated the male Hispanic voice in an e-learning program for Knowledge Start, played the role of a Dominican illegal immigrant for a Border Patrol radio commercial. In addition, he modeled as a Hispanic executive for an Aetna diversity brochure and played the role of Sergio in The Skull Mask, a piece written by Mario Golden as part of a night of monologues at The Theater For The New City in Manhattan's East Village. Also, he (along with Mónica Delgado and Laura Patalano) had the distinct honor and pleasure to be one of the announcers of the HOLA award recipients at Repertorio Español on May 21, 2009. 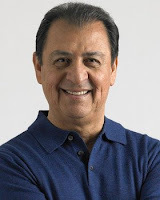 Finally, also behind the scenes North 40 Productions selected him to creatively direct their focus group in Phoenix, Arizona, as well as produce the Spanish radio commercials, where he worked with fellow HOLA members Mario Mattei and Sandie Luna. 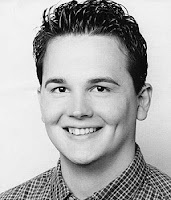 He booked most of these through HOLA referrals or by casting directors contacting him after seeing his headshot in the HOLA directory of talent. 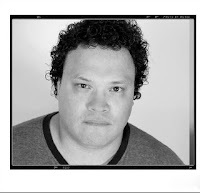 He writes, "Thank you HOLA for all the hard work that you do, and for all the casting notices -- now that I am also casting certain projects, I know I can trust you guys to get the best Hispanic talent... You guys rock!" 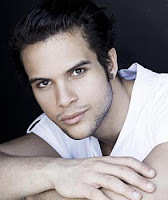 Alberto Vázquez will be seen in Wes Craven's next film titled 25/8 due for an October release. He plays Officer Ramírez in the movie. In addition, through his film company (El Catharsis Productions), he signed a on-picture deal with producer Steve Rue to write and direct a low-budget film. Panelists include Emilio Delgado ("Sesame Street"), Adrián Martínez (The Ministers; The Taking of Pelham 1, 2, 3), Tony Plana (Ugly Betty), Rogelio Douglas (Broadway's The Little Mermaid). Joselyn Martínez, right, e-mailed us to let us know that she was happy with renewing with HOLA. A few days after renewing her membership, a casting director saw her photo on the HOLA online directory of talent and she was cast as Jennifer López's stand-in for her upcoming movie The Back-Up Plan. A.B. Lugo booked work on a spec commercial for Sprite. Pregones Theater is scheduled to present its 11th summer stage tour with the premiere of Cuento que me cuentan, a musical play written by the Pregones ensemble and directed by Jorge B. Merced. 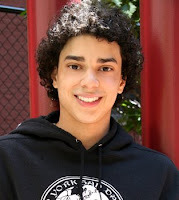 Featuring Sol Marina Crespo, Omar Pérez, Johary Ramos, Yaraní Del Valle Piñero and Josean Ortiz in the cast, the show is scheduled to run during the month of August in several outdoor locations in the Bronx and upper Manhattan. HOLA now has a Facebook presence!! To become a fan of HOLA's Facebook page, click here. In honor of the 10th anniversary of the New York International Latino Film Festival (NYILFF), the Hispanic Organization of Latin Actors (HOLA) in conjunction with Screen Actors Guild will present a panel event where the individual experiences and perspectives of the panelists— performers at the top of their field—will trace the changing levels of inclusion and focus on the expanding range of portrayals of Latinos in entertainment, with an emphasis on the accelerated evolution over the past 10 years. Finally, it will discuss what lies ahead for the dynamic and diverse Latino community. Free admission. FIRST COME, FIRST SERVE. For more information, call NYILFF at (646) 723-1428 or HOLA at (212) 253-1015. The HOLA Awards will take place on Monday, October 26, 2009 at The Players, 16 Gramercy Park South, NYC. 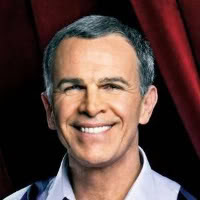 For more information, call (212) 253-1015 or go to www.hellohola.org. New York, New York — The Hispanic Organization of Latin Actors (HOLA) will announce the awardees of the Tenth Annual HOLA Awards on Tuesday, July 21, 2009 at 4pm at Repertorio Español, 138 East 27th Street (off Lexington Avenue) in Manhattan. Light refreshments will be served. The HOLA Awards honors the best in Latino entertainment and communication media as well as outstanding work in New York Latino theater. The HOLA Awards Announcement Ceremony is free to the public. No reservations required. Light refreshments will be served. For more info, e-mail holagram@hellohola.org. The HOLA The Tenth Annual HOLA Awards will take place Monday, October 26, 2009 at The Players, America’s oldest theatrical club located on Gramercy Park South in New York. The Hispanic Organization of Latin Actors (HOLA) is a not-for-profit 501(c)3 arts service organization founded in 1975 to expand the presence of Hispanic actors in both the Latino and mainstream entertainment and communications media by facilitating industry access to employing professional and emerging Hispanic actors. HOLA members represent the full spectrum of Latino cultures, reflecting the nation's growing Hispanic population. In expanding job opportunities for Hispanic actors, HOLA strengthens and supports the available talent pool through its professional educational services and awards for excellence in theater. 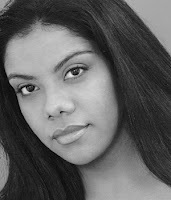 Ultimately, HOLA strives for an accurate, informed and non-stereotyped portrayal of Hispanic culture, people and heritage in theatre, film, television, radio and commercials. Find out who will be honored at the 2009 HOLA Awards by attending the HOLA Awards Announcement Ceremony on Tuesday, July 21, 2009 at 4pm at Repertorio Español, 138 East 27th Street in Manhattan. Caborca Theater presented its inaugural production, Barceloneta, de noche. 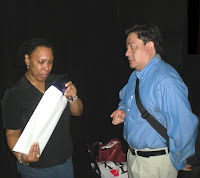 Written and directed by Javierantonio González, the play was featured at Teatro IATI's 2nd Annual Performing Arts Marathon at its eponymous theater in Manhattan's East Village and featured Yaremis Félix, Luis Alberto Gonzales, Ricardo J. Hinoa, Jorge Luna, Tania Molina, David Skeist and Marcos Toledo in the cast. Also in Teatro IATI's Performing Arts Marathon (see above) is Patricia Becker's multimedia theater-dance piece Fragments, directed by René Migliaccio, in which she examines women's objectification in patriarchal social conditions through the literary characters of Klytemnestra (Aeschylus), Medea (Euripides), Lady Macbeth (Shakespeare), Ophelia (Shakespeare) and Miss Julie (Strindberg). 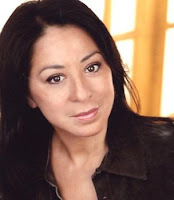 Actor-singer Mara Sánchez is scheduled to have her CD release party for her new collection of music entitled Open Windows/Ventanas abiertas in August at the Milk Lounge at the Chimney BBWRestaurant in Manhattan's El Barrio neighborhood. For more information, go to www.marasanchezmusic.com. Emmanuelle Bordas and Celia Cambara performed their musical project Out of Isla. Described as a musical fusion between the blues, African music, Celtic music, Latin rhythms, jazz, rock, French chanson, musical theater and classical music, it is scheduled to be performed at 353 Studios in the theater district of midtown Manhattan. 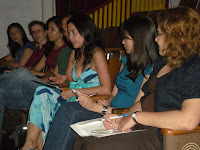 Wendy Curiel, talent agent and long-time HOLA associate, offered her knowledge to members in an HOLAfábrica Business of the Business seminar last Thursday, June 18th, 2009. She started her discussion with a thoughtful introduction explaining that she was a “one stop shop” when it came to finding talent for commercial gigs. She also emphasized that this talk was informal, so all attendees should feel comfortable asking her questions throughout the seminar. That being said, the questions began. One of the first topics w as about unionization. Since I am also new to this business, I benefited from this conversation. Wendy explained how to join a union, what to do once you’re in, and the benefits. She told actors that they needed to “be informed” and stay informed about union procedures, rules, and regulations. I think one of her most important points was that this business requires a huge amount of responsibility for the individual actor. No one is going to lead an actor by hand, one has to educate oneself and take on the responsibility for one’s own career. Another important point Wendy discussed was the fact that no one can ask an act or what his or her ethnicity or nationality is. It is against the law to ask, and if this happens, answer politely that it is private information, or (especially if one booked the gig), respond with “talk to my agent.” This is important because, unfortunately, discrimination can follow. Wendy advised to always “be on your toes” when it comes to private information and one’s career. Wendy presented the business in a very no nonsense manner. She explained that acting is a business, it is a job and it should be treated as such. Do not burn bridges with agents by not returning phone calls or by blowing off an audition. That is akin to not showing up for work or ignoring an assignment. It’s okay to have fun at one’s profession, but it is still a profession. After the seminar she collected headshots and resumes from those in attendance. 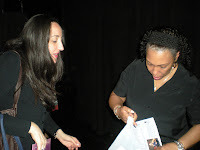 I want to thank Wendy for being so loyal to HOLA and providing her expertise to our me mbers. Wendy also sang the praises of HOLA, remarking that all those in attendance who weren't members of HOLA should join and that she looks at the HOLA directory every day for potential talent. Spending almost two hours with her gave me more information about the business of acting than any website, book, or magazine could provide. So members, keep an eye out for other workshops with Wendy Curiel; it could be the best move for your career. Baby news!! 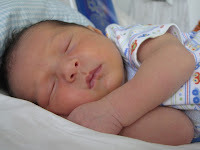 HOLA members Frank Rodríguez and Wanda Arriaga just welcomed their second child into the world on June 24, 2009. 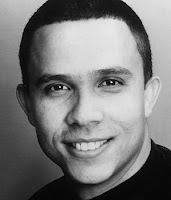 The child, a son, is named Gabriel Rodríguez Arriaga and joins older brother Andrés Rodríguez Arriaga as the two greatest collaborations between Frank and Wanda. Mother, father, baby and older brother are doing just fine. (Photos courtesy of the Rodríguez-Arriaga family). 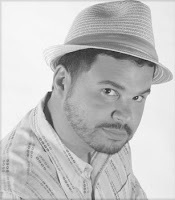 In addition, director, producer and Friend of HOLA José A. Esquea, along with his wife, costume designer Tracy McLair, welcomed their son Bryan Ernesto Esquea into the world on June 15, 2009. Bryan joins an older sister in the Esquea-McLair family. Mother, father, baby and older sister are doing great. (Top row, left to right): Moisés Acevedo, Raúl Dedos; (second row, left to right): Anna Estrada, Ruth Haliga; (third row, left to right): Miguel Ángel Juan, Katherine Leyva Marichal; (fourth row, left to right): Lorraine Rodríguez, Antonio Rubio; (bottom row, left to right): Juan Carlos Ruiz, Ura Yoana Sá nchez.